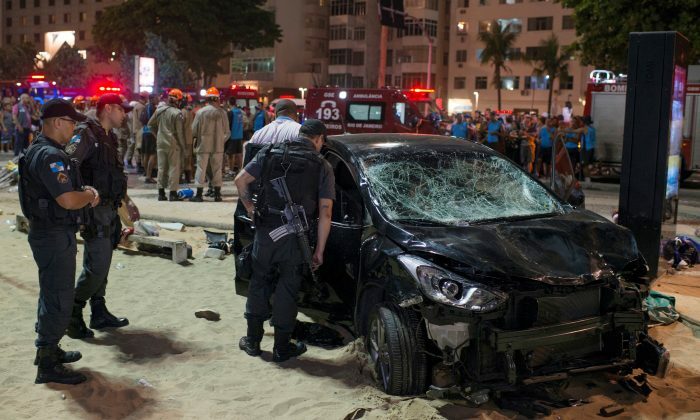 RIO DE JANEIRO—A speeding car plowed through evening strollers on a crowded sidewalk of Rio’s famed Copacabana beach on Thursday in an apparent accident, killing an 8-month old baby and injuring 15 people, police said. 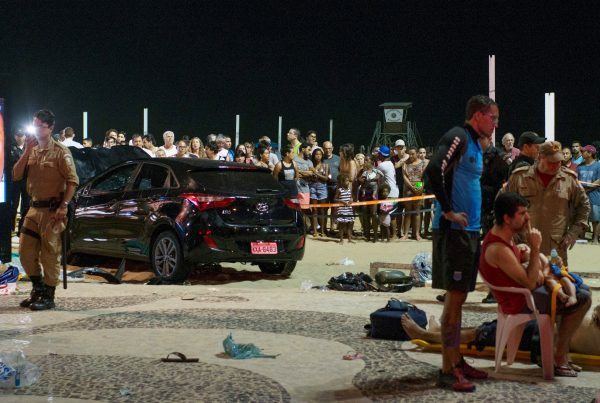 An officer at the Copacabana police station confirmed the baby’s death by telephone and said 15 injured people were being treated in hospital. 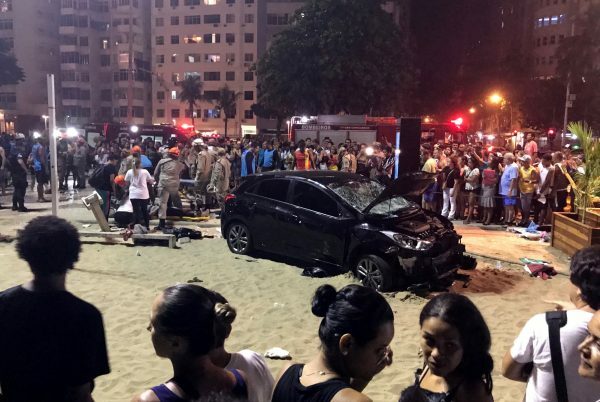 He did not know if the driver’s epilepsy fit had been confirmed.